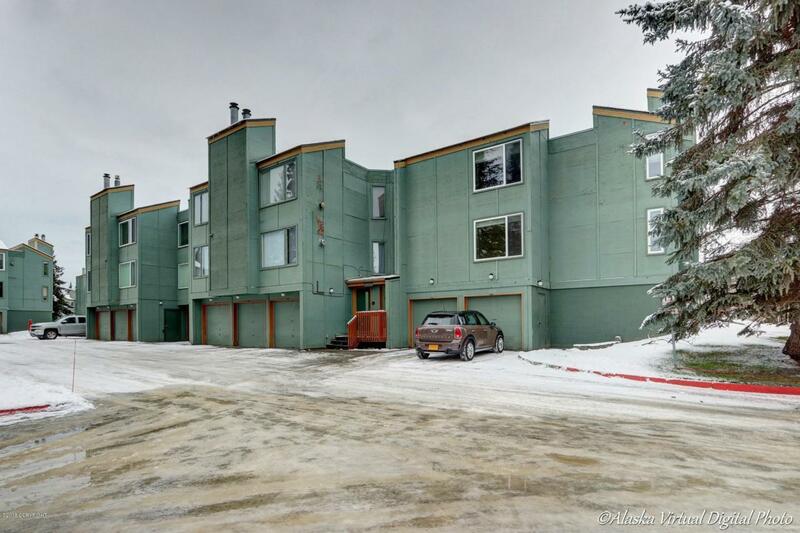 Nicely maintained corner unit in desirable complex, conveniently located in S Anchorage! Rare for the price point, this property boasts a 2-car garage adjacent to a large storage area/workshop. The unit features 2 large beds, 1.5 baths, a wood burning FP w/ built-ins, laminate flooring thruout, a huge living area, and secured entry! This condo lives like a single-family home, and won't last long!